I occasionally provide web services such as raising an online store and providing SEO consultancy, and due to my handmade jewelry business, I get queries from a fair number of indie designers, some came with great budget, majority would opt. for a DIY solution. I was one myself - wanting to have an online store to sell my jewelry designs and digital products, but not spending a lot for it. It was not easy back then - but it is now! So how exciting is that? In WordPress - with combination of the right WordPress theme and plugins, you don't even need to know how to code and yet you can setup an online store at ease. This tutorial is cater for entrepreneurs that want to have better understanding in how to build a fully functional e-commerce site a.k.a. online store with least capital. All you need is sign up for a webhosting services and register for a domain. I had been with Hostmonster since day one, so far so good, so would recommend them; as for domain registrations, Exabytes and Namecheap offers great deals from time to time - so do check them out. Then, just follow this tutorial to build a simple yet fully functional e-commerce site for yourself. - Test Plan - for functionality test purposes. - List of plugins that contributes into building a fully functional online store/e-commerce site. - At least THREE Customized Tweaks that worth USD$25 each. You may use this guide to raise as many simple e-commerce site like this as you like. * Site with even more tweaks that are not included in this tutorial. 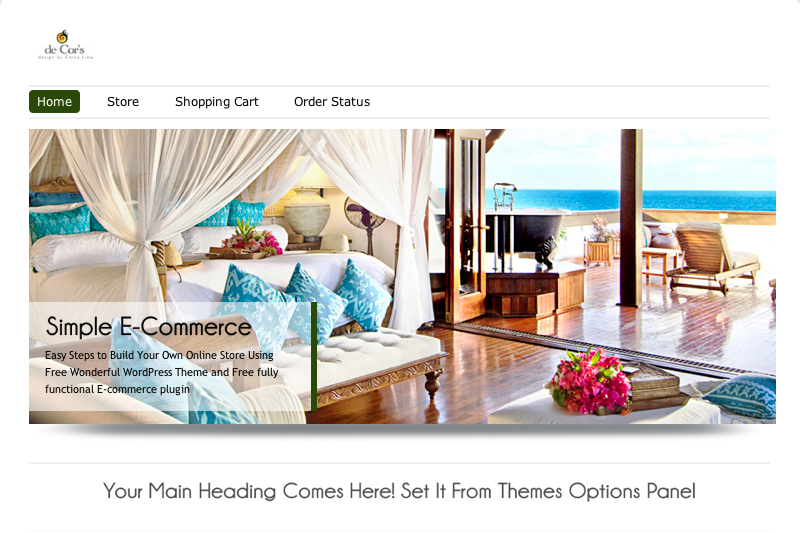 Note: Other than Simple E-Commerce Demo Site, the rest of websites might be modified in future. Do check it out soon: Build Your Own Simple E-Commerce Site. I hope you like what I have put together for you, and hope that you will find this useful.